There was pandemonium at Uyo Street along Stadium Road, Rumuomasi, Port Harcourt, Rivers state this morning, after residents sighted a huge Python in the area. The frightened residents immediately alerted some mobile policemen on patrol as they arrived the scene and helped them in killing the animal. The youths who noticed the python had a swollen stomach decided to butcher it and open its stomach. It was discovered that the reptile swallowed a goat whose owner is yet to lay claims. 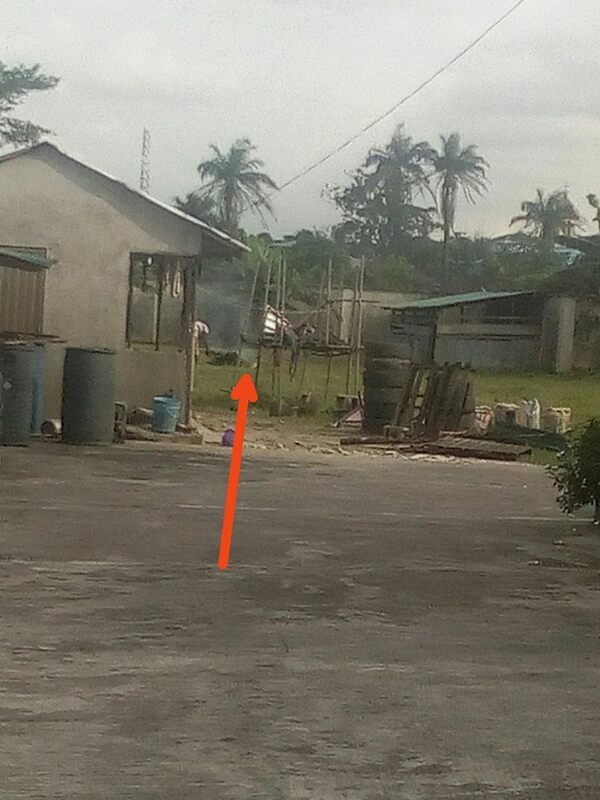 Following the shocking discovery, the youths butchered the goat and shared the meat among themselves. 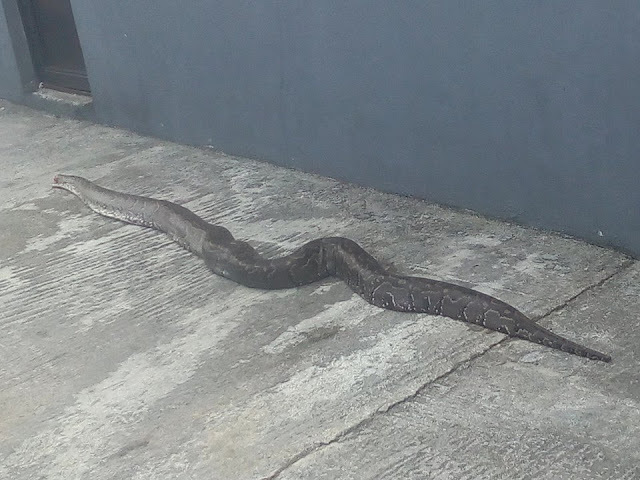 Residents have trooped in their numbers to take a look at the Python in shock and disbelief.